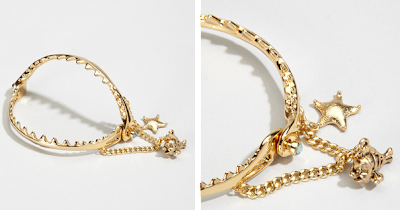 Fred Flare calls this the Disney Couture shark bracelet, but I see a bear trap (even with the starfish, I don't make sense). Tell her that she caught you with her love with this adorable and humorous bracelet. Include a card that says "I'm a hunter and it's you season." (Thank you Parks and Recreation).